And the Tony(s) will go to….Most likely,to the most liked “An American in Paris” the tony (pun intended) re-imagining of the great Gene Kelly/Leslie Caron cinematic starrer of 1951,directed by Vincente Minnelli, it won the Best Picture Oscar & many others and I think this million-dollar box-office bonanza for Broadway will make Tony voters vote for it. And I think it’s got legs. It will sweep its’ Best Actor in a Musical and Best Featured Actor in a Musical, Robert Fairchild and Max Von Essen in, too. As well as Best Director of a Musical and Best Choreographer. Christopher Wheeldon has brought ballet to Broadway in a way that I can’t really remember. And Fairchild has a growing well of buzz about him. Doing the seemingly impossible and making you forget Gene Kelly in the same part, if only for a moment. When he won the Drama Desk Award earlier this week, in this same category, he thanked Gene Kelly, which I thought was a nice, classy touch. The fact that Fairchild is a ballet dancer who has suddenly turned into a Broadway triple threat here, singing and acting, too, well, it’s catnip to the Tony voters. It doesn’t hurt that his beautiful ballerina sister Megan Fairchild is kicking up her talented heels as the leading lady Miss Turnstiles in “On the Town” a few blocks south on Broadway, too. Broadway stalwarts Michael Cerveris in “Fun Home” and Brian D’Arcy James in “Something Rotten” will likely be seen as having other chances. And who can believe the full-throated, full-throttle D’Arcy James as an Elizabethan LOSER? But I think he’ll lose here. And I think “Something Rotten”( to the core) will be just too low-brow for the middle-brow Tony Voters. And Fairchild is the astonishment of the season. 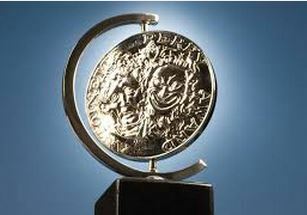 The Drama Desk gave “Rotten” only one award for Christian Borle in Featured Actor. And he was very good, perhaps the best thing in “Rotten” as a rock-star Shakespeare. But Borle has already won a Tony (for “Peter and the Starcatcher” a few years back), leaving the excellent Frenchie, Max Von Essen, who isn’t French, to build his own Stairway to Paradise in that category. 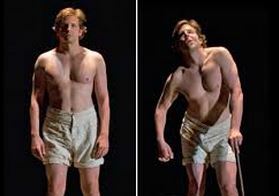 Best Revival of a Play I think will be the lush, opulent, but just right, re-interpretation of “The Elephant Man.” Now wowing the West End in London, it also featured sublime support from Patricia Clarkson and Alessandro Nivola as well as a dazzling star turn from Bradley Cooper in the title-role.It seems incredible that recent Julliard grad Alex Sharp is going to beat Superstar Bradley Cooper in the Best Actor in a Play race, but he’s won every other award in sight this season for “Curious Case…” Timing is everything on Broadway, and I think that if the sold-out hit “Elephant Man” was still running HERE, Bradley Cooper would’ve won for his tortured portrayal of John Merrick. There seems to a groundswell that surrounds certain performers as Tony draws nigh(tomorrow night on CBS) and I feel that with Chenoweth, Sharp, Fairchild, and Mirren. 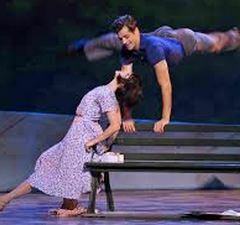 I also feel that buzz surrounding Annaleigh Ashford for her dreadfully over-done, bad ballet dancer in “You Can’t Take It With You.” Supporting or as they like to say on Broadway Featured actor categories are always tricky to predict. But Ashford seems to have the momentum, inexplicably. to me, at least. 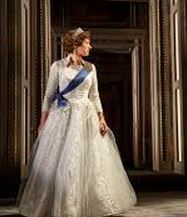 And Best Revival of a Musical is most likely going to be “The King and I” at Lincoln Center. Well-done and sturdy, it lacks the two leading performances the over-rated and over-cast Kelli O’Hara and the barely understandable Japanese actor Ken Watanabe, playing the King of Siam. But everybody and everything else in it is quite well done. This means my faves “On the Town” and “Gigi” will come away empty-handed. 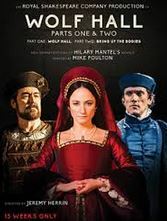 And so I think, will “Something Rotten” and “Hand to God.” But “Wolf Hall, Pts. 1 & 2” may land its’ solitary Tony win by gaining Henry VIII’s Natha niel Parker a nice, silver trophy to take back to Blighty, when the six-hour two part marathon of the season finishes its’ limited run the first week of July. So tune in tomorrow night at 8pm to CBS to see how right or wrong I was. Of the two “brand new” French musicals on Broadway, “Gigi” is by far my favorite of the two. If I had to pick. And I do. This being theater awards season and all. I just loved “Gigi” more than I did “An American in Paris”. Both opening inexplicably within days of each other on the Great White Way. And both based on the Oscar-winning movie musicals, both set in Paris, both directed by the great Vincente Minnelli, and both films starring the ever-soignee Leslie Caron. I was utterly captivated by this “new” “Gigi” now starring the tiny little Disney starlet perky Vanessa Hudgens. I was really ready to not like what this revival of “Gigi”, one of my favorite films of all time, portended. A French “High School Musical” which is Ms. Hudgens’ prior claim to fame. But it completely captivated me. Why? Well, it was almost like discovering a new Lerner and Loewe musical from when they were in their prime. “Gigi” was based originally on a novella by the great French writer Collette, which was then turned into a play(without music) starring the young and then-unknown Audrey Hepburn. It was a hit in 1951 and launched Hepburn’s career..
THEN, in a little-known side-bar to American Musical Comedy history, it was made into a Broadway musical adding in more music in the early ’70s with Alfred Drake and Agnes Moorehead and it flopped. Taking with it some wonderful songs “Paris is Paris Again”. “A Toujours”, “I Never Want to Go Home Again” and more. Not to be heard again, until now. This current “Gigi” has got a lot of very good things just right. It’s got a je ne sais quoi adaptation by Heidi Thomas, who has captured the great elan this souffle MUST have. She has retained all the famous numbers, but er, re-arranged them all over the place. Giving songs that were sung by Maurice Chevalier, for instance, “Thank Heavens for Little Girls” to the non-pareil Tony Winner Victoria Clark. Clark is having ANOTHER great Broadway moment as Mamita, the role made famous in the movie by legendary British comedianne Hermione Gingold. Clark, also scores with a solo that was formerly Gigi’s, “Say a Prayer.” Her role as Gigi’s gran-mere is emphasized here and her golden soprano used to perfection. This version of “Gigi” seems to be being told from the grandmother’s very sympathetic point of view. Of course, you really have to squint in the delightfully dark Belle Époque settings of Derek McLane ( atmospherically lit to perfection by Natasha Katz, who also has lit “An American in Paris”!) to see that “Gigi” is the story of a young girl being raised by her grandmother and aunt to be a high-class prostitute. The Disney-i-facation is apparent here, because it’s so subtle, so INFERRED. A tween Hudgens fan, might rightly assume the Gigi’s gran-mere is overly concerned with getting Gigi a very nice apartment. Victoria Clark is mightily aided in this dramatic re-interpretation by the delicious Dee Hoty as Gigi’s Aunt Alicia, and Clark’s sister-in-crime. In fact, they BOTH sing “Thank Heaven for Little Girls” the first time we hear it. And we hear it a lot. It is to their vast credit that “Gigi” is as witty and insouciant this time around. The duo never cease to delight and surprise. Far less successful is the unfortunate Howard McGillin, who has to fill Chevalier’s huge Gallic shoes. His & Mamita’s “Yes I Remember It Well” is sung with an umbrella in a rain shower. It was all wet. He seems to be apologizing for his performance every time he steps onstage. But McLane’s setting, Katz’ ever-versatile lighting and Catherine Zuber’s exuberant costumes carry along youngsters Cott and Hudgens til, yes, we watch them grow up right before our eyes, as they become the stage stars they have to be to make this “Gigi” work. That’s not the original Collette’s plot, but it is enjoyable nonetheless. 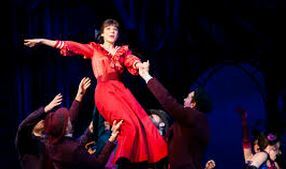 I love Old Fashioned Book Musicals, with characters rather than concepts,and heavenly music that bubbles you out the door, and if you do, too, “Gigi” is the new-old musical for you.